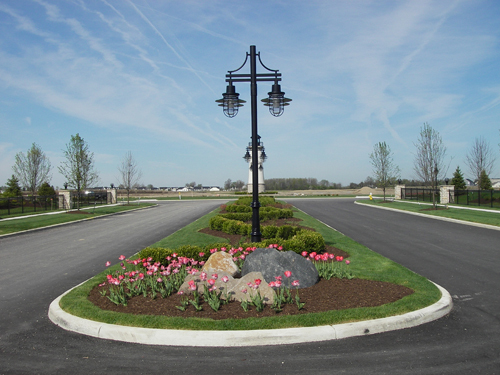 Bauer Lawn is one of the largest lawn and landscaping companies in the Northwest Ohio region. Providing lawn and landscaping maintenance to the Northwest Ohio region from Ohio-Michigan line to the north, east to Port Clinton, south to Findlay, and west to Bryan. Serving Northwest Ohio for nearly 30 years, Bauer Lawn is recognized as one of the area’s largest and most respected full service landscape companies. Our professional, knowledgeable staff strives to meet the needs of our clients by offering outstanding service and quality commercial landscape installation, hydro-seeding, design services, commercial lawn & landscape care and snow removal. As professional landscaping contractors, with more than 30 years experience in the landscaping business, Bauer Lawn can handle most all of your landscape needs whether you just want to add a little or make over your whole property. Are you a business or homeowners association (HOA) looking for reliable lawn care and maintenance company? A commercial contractor with large installation projects? Developer for large residential communities? A new homeowner in need of landscaping? 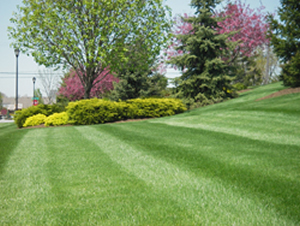 Bauer Lawn has the resources to meet all your needs from residential to large commercial. We have partnered with the areas best irrigation companies, site contractors, fertilization specialists, and more to create a network of services that are second to none. By offering ‘in house’ design services, you the customer can be involved in your project from start to finish. If you have a special project or custom job that needs attention, chances are we can help. Contact Us and let us know exactly what you require and we will do our best to accommodate your request. Call TODAY! Copyright 2011 Bauer Lawn & Ohio Media Search Marketing.